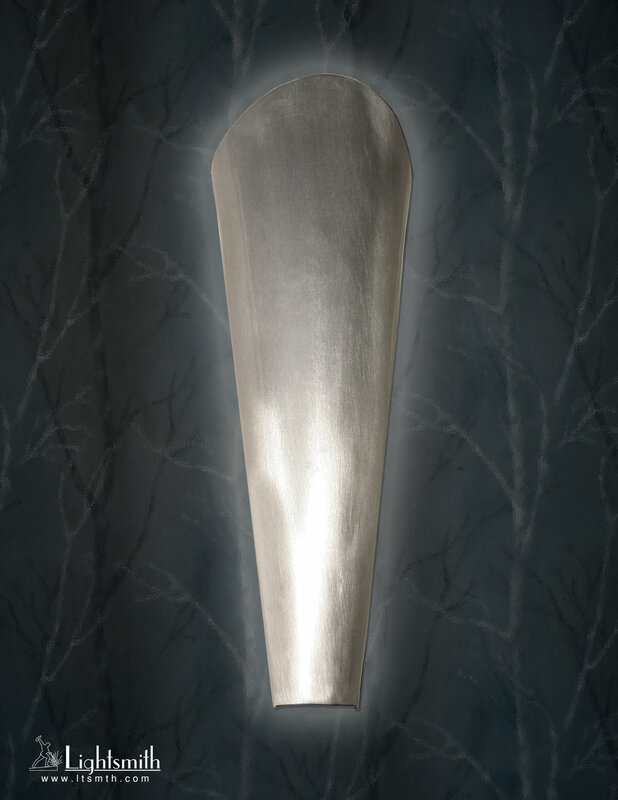 W:9" x H:27" x X:5" x MC:15"
W:11" x H:33" x X:6" x MC:18"
Our Galway fixtures are curved shields that can be made of solid metal or translucent acrylic. Metal shields produce a formed glow around the edge. Acrylic shields throw light forward in all directions.